White Collar Automation in Healthcare – What’s Possible Today? Episode summary: In this episode of “AI in Industry” podcast, we speak with Manoj Saxena, the Executive Chairman of CognitiveScale, about how AI and automation are being applied to white-collar processes in the healthcare sector. In simple business language, Manoj summarizes key healthcare applications such as invoicing handling, bad debt reduction, claims combat, and the patient experience, and explains how AI and automation can make these processes more efficient to improve the patient experience in healthcare organizations. Brief recognition: Manoj Saxena is currently a venture capitalist focused on his role as a Founding General Partner at The Entrepreneurs’ Fund IV, a seed fund with eight active investments. Today, he is Chairman of CognitiveScale while serving on the London Stock Exchange Tech Advisory Board, and the Saxena Family Foundation. He was the CEO and founder of two successful venture-funded software startups which were acquired by IBM (2006) and by CommerceOne (2001). From 2011 to 2014, he led IBM Watson Software Division as its first General Manager, helping form Watson Business Group in January 2014 with a $1B investment from IBM. Prior to this, he founded, scaled, and sold two venture-backed software companies. He holds nine software patents. Manoj Saxena with Emerj founder Daniel Faggella at CognitiveScale HQ in Austin. These processes require an application that can discern or make judgments based on details and historical data, making it potentially low-hanging fruit for machine learning applications. Manoj cites the example of invoice management as part of his company’s work for clients. He relates that prior to applying AI, only about 64 percent of the invoices are processed. But within a five-month period that the process was augmented with an AI that could read and understand the image and content of an invoice, the client saw invoice processing rise to the high 90 percent. For context, Manoj explains that invoices could be an image or a document containing multiple fields such as customer number, member ID and user ID. Depending on the company, these fields are represented in different ways. As well, individuals accomplishing the invoice could fill the fields differently, for instance using IBM Co. or IBM Corp.
Because AI is capable of learning and processing structured and unstructured data, it will be able to read and understand the key concepts within an invoice and see patterns. Applied to healthcare invoice processing, the information patterns established by the AI determines what and when the patient needs to pay. Revenue cycle management is another area in healthcare that benefits from AI, specifically claims combat. Manoj says that in a midsize hospital, millions of rejected claims submitted by patients are resubmitted. Taking an example from one client, CognitiveScale’s AI solution took a sampling of and compared successful and unsuccessful claims. Upon learning patterns, the AI solution was able to determine the chances of a claim being denied, a step that greatly helps the knowledge worker. AI can also be applied in the prediction and avoidance of bad debt in healthcare, according to Manoj. For instance, as a hospital is admitting or treating patients, the AI can look at data related to the patient’s capacity to pay and compare it with patients with similar profiles that the hospital has served. The AI application can then alert or guide the hospital if such patient had previously struggled with and recommend sources of funding. This helps both patients and healthcare organizations have a better experience and lower bad debt, he said. Declare – What has the patient declared what do we already know? Observe – What have we observed about similar patients in the past? Infer – What can we infer from cases this? Taking the information or data gathered from asking these questions, the AI application will find patterns and come to a conclusion. One challenge for AI companies is to ensure that the application needs to be explainable to the non-AI individuals in the healthcare organization. This is particularly vital in finance, and more so people’s lives are at stake. 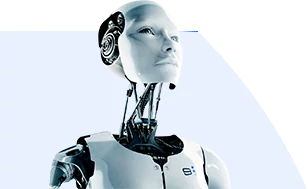 At CongitiveScale, we have an AI application development platform called Cortex that allows the developer to build the framework, determine the data types needed, the models to be trained, the tests to be conducted to ensure that AI performs accurately and is explainable. This democratization of AI, Manoj explains, combines software, data and methods. He added that 10-10-10 method that CognitiveScale uses (10 hours to select the use case, 10 days to build the reference AI using the client’s data, and 10 weeks to production) has reduced deployment from eight months to a matter of weeks because the software has evolved, while AI companies are becoming better at identifying what type of data is needed to power the AI processes. In the next five years, Manoj clearly sees AI will become standard in revenue cycle management as healthcare organizations prioritize helping people streamline in the pre-authorization, claim submissions, claim settlement and payments processes. Another area where Manoj sees the standard adaption of AI is care delivery, as organizations manage patient outcomes at the lowest possible cost while being compliant to the protocols. (5:13): What are some of the fruitful AI applications for automating white-collar healthcare work? (6:08): What these have in common is work that normally involves judgment. What is a good representative process that would involve judgment work in AI? (7:15): For the context of people working in the back end, in terms of processing invoices, what could go wrong? What are the elements that make these complex? (12:10) What kind of training does the AI need to determine a patient’s ability to pay? (16:03) How do we take a skill and mold it into something that is easy? Can we get to the point where someone behind a desk at a healthcare organization can do this? (18:30) In the next half-decade, which of the AI processes you outline will become the norm? Which ones are going to see their way into an average suburban hospital? Episode Summary: If there's any industry ripe for disruption by AI and ML applications, it's healthcare. This week, we speak with Eleven Two Capital's Founder and Managing Partner Shelley Zhuang, whose investment focus (among other spaces) is on innovative healthcare services and applications. In addition to discussing how AI and ML is helping propel genomics, diagnostics, therapeutic treatment, and other innovations into a new paradigm, she touches on what the healthcare space might look like in the next 10 years. For healthcare startups looking to break into the healthcare market, Zhuang doesn't pretend to have simple answers; however, she identifies commonalities among smart companies that have prepared early for meeting regulatory and other industry considerations. This interview was recorded live in San Francisco at Re-Work's Machine Intelligence in Autonomous Vehicles Summit in March 2017. Episode Summary: Venture investing in AI healthcare applications has been on the uptick and is directly related to the subject of this week's episode: just how the healthcare industry is (and isn't) being impacted by innovations in AI technology. Guest Steve Gullans of Boston-Based Excel Venture Management talks about some of the various healthcare-related ML and AI applications that he sees being brought to light, and touches on which innovations have a better chance of getting blocked and redirected by parties of interest and those that have more promise in being accepted and rolled out sooner. Episode summary: In this episode, we talk to Daniel Nigrin, MD, Senior Vice President and CIO at Boston Children’s Hospital. Daniel and I discuss why hackers have come to prey on the healthcare industry, how these hackers benefit from their illicit activities, and what healthcare IT security precautions can be taken to prevent such attacks. Episode Summary: Not all knowledge work can be crunched by a program, but there are some hard-to-automate business processes that a select few entities are making an attempt to automate now. Boston-based Rage Frameworks, Inc. is one such company, and in this episode we speak with Senior Vice President (SVP) Joy Dasgupta about specific applications of automation technologies applied to white collar environments. Rage Frameworks has developed intelligent machines that have been able to take over process that, prior to the emergence of AI and automation technologies, would have required thousands of people to accomplish. These developments are a microcosm of what is to come, and the process is not without its ethical considerations (as discussed in a previous interview with Yoshua Bengio). But Dasgupta's insights provide a concrete glimpse into how these processes are being automated in the knowledge workplace today and what that might mean or look like decades from now. Episode Summary: In some ways, investors in AI have to do a lot of what we do at Emerj, which is sort through marketing fluff and determine what's actually working and what's more of a pipe dream, as well as what's coming up in the next five years that seems inevitable and what's more likely to flop. In this episode we're joined by Li Jiang, a venture capitalist with GSV Capital whom I was connected with through BootstrapLabs. This week, Jiang speaks about the current areas of AI that he sees driving business process automations, as well as what technologies he believes will make a long-term impact in terms of automation. His insights on where AI automations are generating cost savings and increased efficiency, as well as what roles might be completely replaced or significantly augmented by AI, are useful nuggets for companies who are thinking through some of their own business processes and are eager to identify low-hanging fruit. How Will AI Impact the Healthcare Landscape?